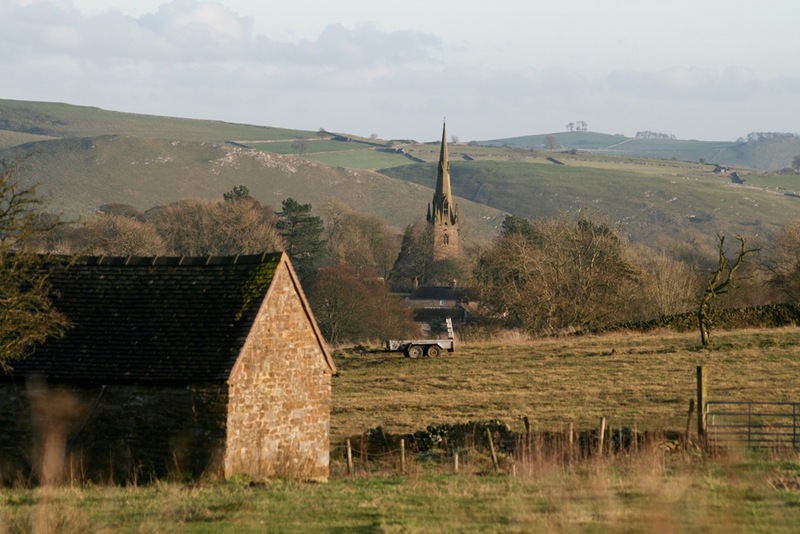 If church buildings are your thing, pop over and have a look at some more of Derbyshire’s finest religious buildings (and of course, there is this blogs ‘novelty contribution’ to Derbyshire’s church heritage ). Or if fields are more your fare, pop over and look at Noel’s training blog, and the further adventures of moles in the meadows (we are fond of moles on this blog). Categories: Farming, History, Landscape, Meadows, Nature, Peak District National Park, Photography, Thoughts, Travel, Villages | Permalink. Thanks for the link to my molehills post. What a pleasure to look at this photo. Spud continues to be missing, I suspect a kidnap. He’d be easy to find just follow the muddy footprints, we have mud a plenty. But thankfully no flooding.